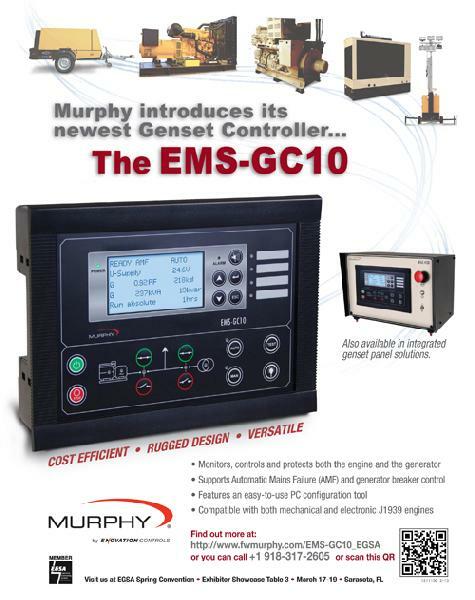 The EMS-GC10 Genset Controller provides flexible control and monitoring for industrial genset applications. Typical applications include backup power, power supply for remote locations without a connection to power grid, and mobile power for remote locations. The controller supports programmable logic, up to 40 expressions, and can be configured for specific functions unique to your application. This is accomplished through the M-Logic portion of the Utility Software. The EMS-GC10 supports Automatic Main Failure (AMF) and generator breaker control. The EMS-GC10 offers field-adjustable operating parameters that can be changed through the controller or an easy to use PC configuration tool called Utility Software. It is also ideal for use with a remote modem or in a SCADA system offering Modbus RTU protocol on the RS485 port. Download this product's software on our software page.